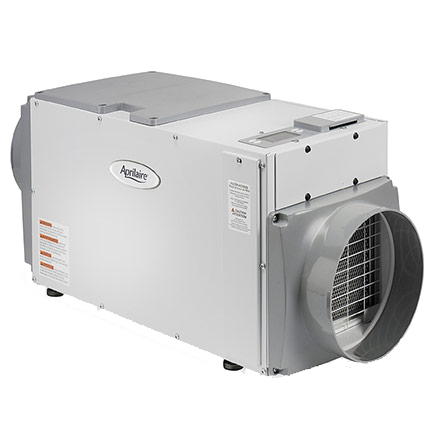 Jackson Comfort offers high-efficiency dehumidifier units which remove an enormous amount of moisture from your basement or home without using a great deal of electricity. These units that can keep your home humidity between 40 and 50 percent, which is ideal. Plus, there is no reservoir to empty since it drains automatically. And the unit will not freeze or frost. Our professionals will help you choose the best solution for your home. Dehumidifiers can be freestanding or ducted right into your heating/cooling system, and replace two or three portable dehumidifiers. You can also add remote sensors in rooms to regulate humidity by area. The normal lifespan of a dehumidifier is about 10 years; filters should be cleaned quarterly, and the auto sensor will remind you when it’s time to clean. In this region, it’s important that your unit operate at lower temperatures so that it won’t freeze during the winter.